"Alexa, turn mirror lights to make-up mode!" 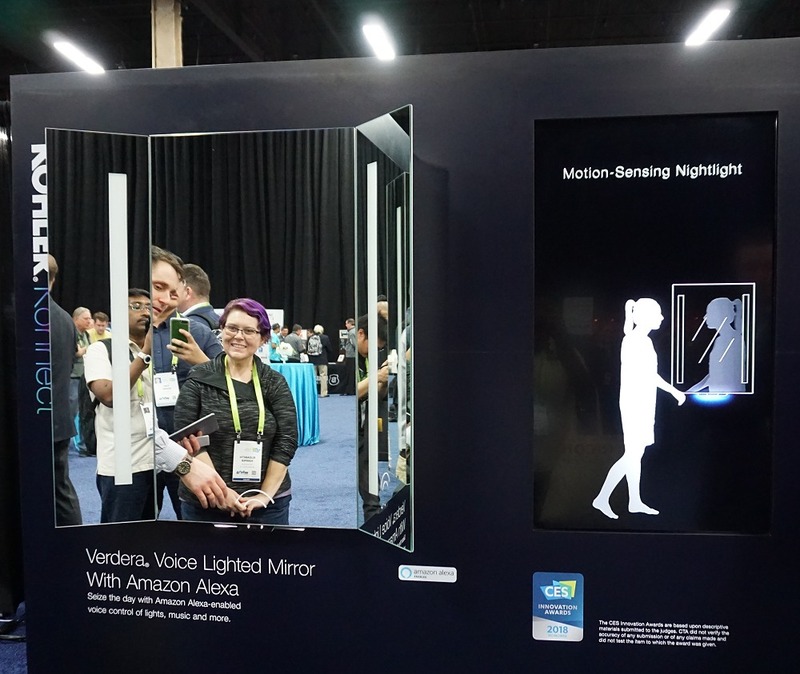 Smart-ifying your home and all things within is a major theme for this year's CES, just like the already gorgeous Kohler Verdera Lighted Mirror, but now with Amazon Alexa enabled voice control of mirror lights, music and anything else you would use the Amazon Echo for. Additionally, it comes with a motion sensor enabled nightlight for convenient use of the bathroom at night. 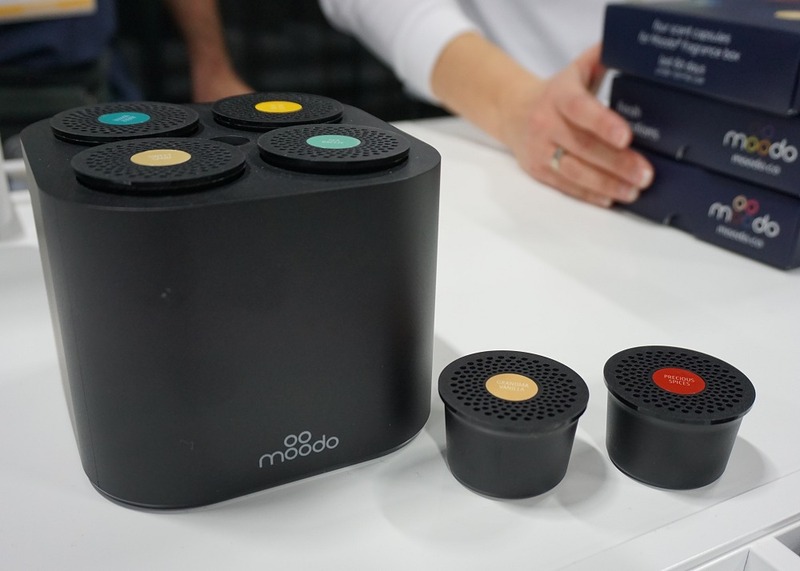 Moodo is a US$199 a smart home fragrance box that you can control with an app. Pop in a variety of scent capsules that retail for US$29.95 for a set of four, download the app, mix, personalize, share your fragrant connotations and schedule them to release as required. Who knows, you might even invent your own signature scent for your home. While there are numerous smart switches and plugs on show, the iDevices Instinct is one of the sleekest we've seen and is a Wi-Fi enabled light switch with built-in voice services, courtesy of Amazon Alexa and Google Assistant. So not only can you voice control the light switch, you could also perform energy monitoring. 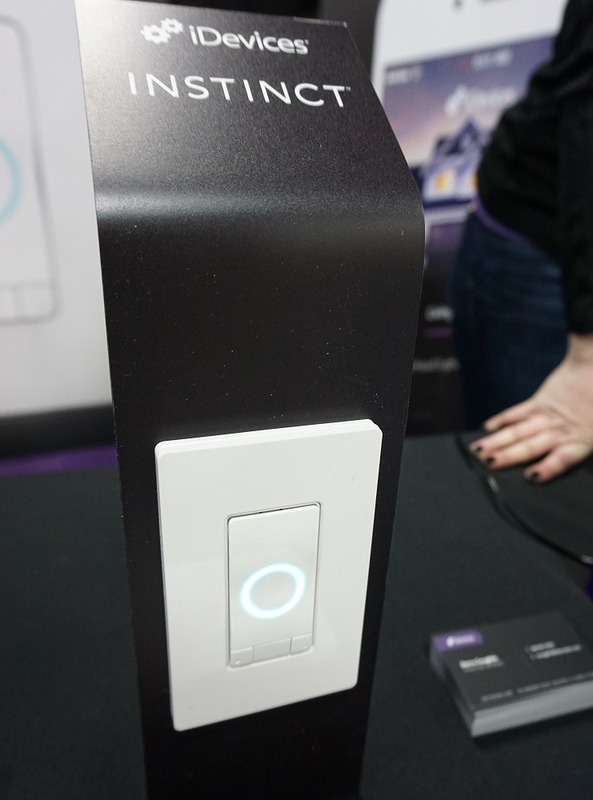 There's even motion and ambient light sensors integrated to this switch. And whenever you voice activate it, you will see an animated ring to indicate it's listening. Last, but not least, it integrates with Apple HomeKit. 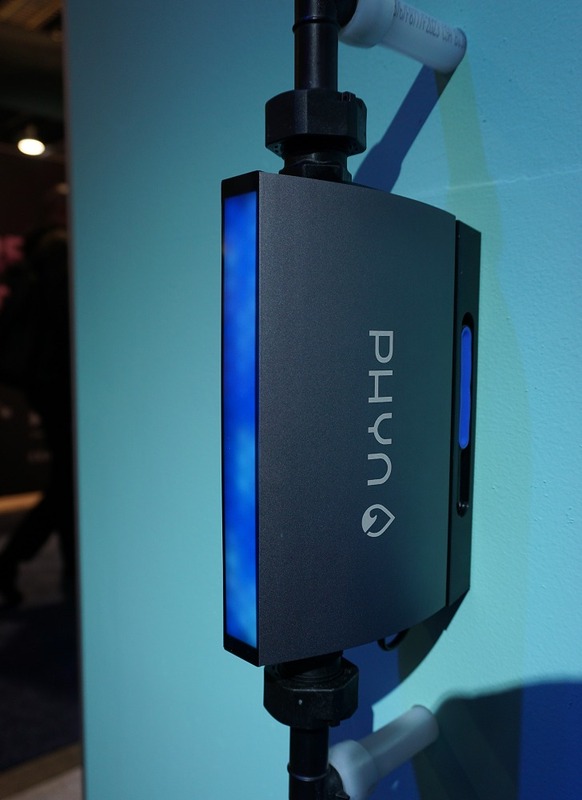 Belkin, who has a strong set of Wemo home automation products, branched out to something different like monitoring and evaluating water usage to inform users of any unintended usage (such as leaks or a pipe burst), through a brand-new product line called Phyn. According to them, Phyn has up to 240 'conversations' with your home's water supply to determine differences between long showers and that of a slow leak, as well as when something is routine or not. 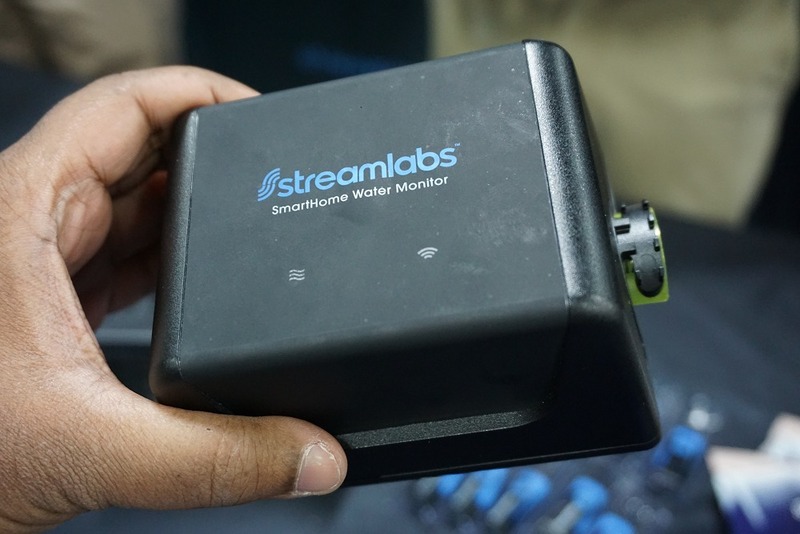 Unlike Phyn, the Streamlabs Water Monitor dose not require any pipe cutting or messy installation – it easily mounts atop your existing water pipe and monitors water flow by using ultrasonic sensors to monitor water flow to detect potential leaks or abnormal water usage. Not only that, it integrates with Amazon’s Alexa voice service or Nest to improve your smart home collectively. And yes, there's an app to monitor all vitals, receive alerts and setup multiple water monitors. 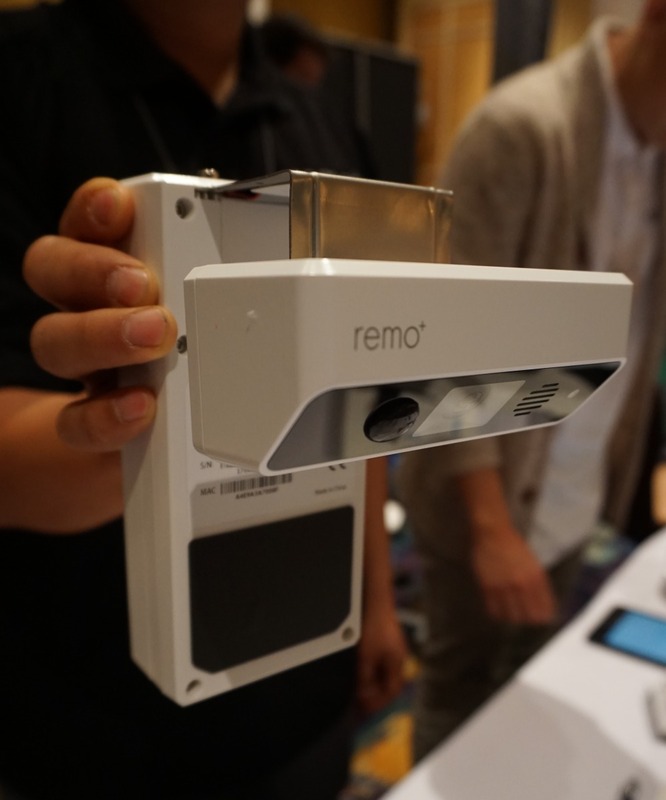 This over-door camera unit from Remo+ is great for hassle free mounting and immediate usage in your home. Simply hang it over your door with an adjustable bracket that's provided, and you're done. No setup mess or figuring out how to secure your surveillance camera. Uses three D-sized batteries for power, has a 160-degree field of view, stream video in HD resolution, offers cloud recording via subscription and customizable motion sensor sensitivity to detect activity and send you alerts. The DoorCam is retailing for US$199. Erm, yes. 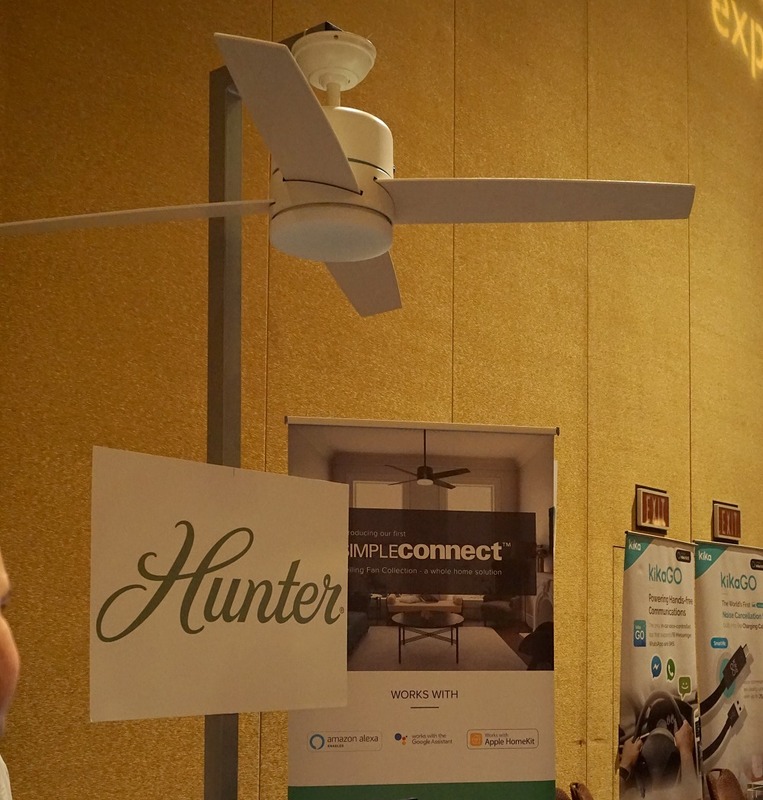 Even ceiling fans are getting connected and smart such as this one that works with Amazon Alexa, Google Assistant and integrates with Apple HomeKit. For most smart hubs that control your home IoT devices, they go by schedules and controls that you've explicitly setup. 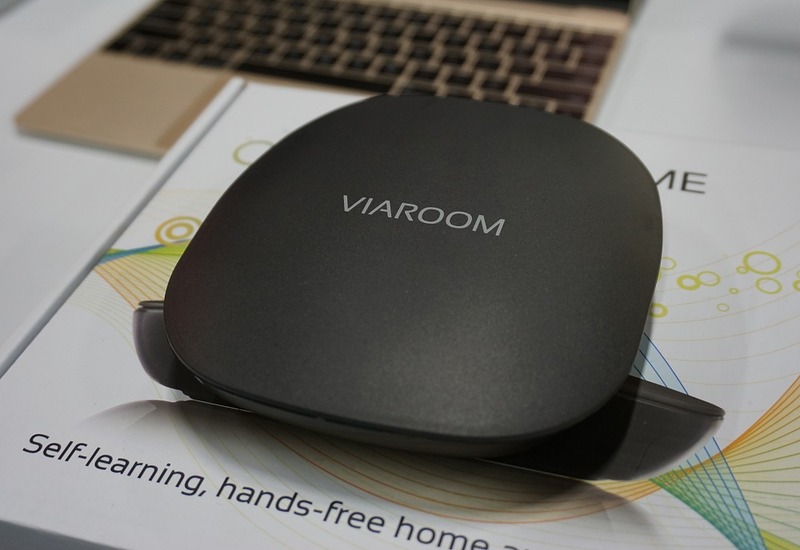 Viaroom says their Viaroom Home has intelligence built-in to observe usage patterns and appropriately vary the schedules you've initially setup. Say for example you've been sleeping late recently and kept your smart lights on longer than usual the last couple of days, Viaroom Home will push back the time to switch off the lights based on your new recent routine. 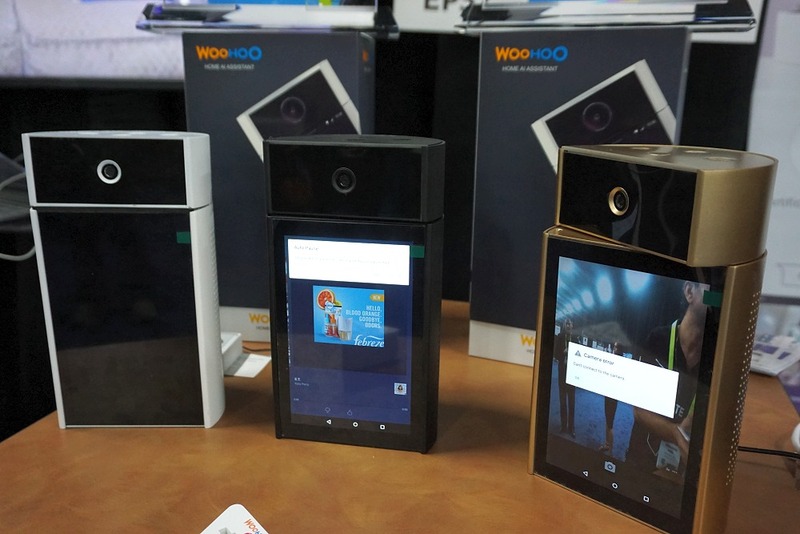 The WooHoo smart hub packs so much features, it can be considered an AIO of smart hubs. 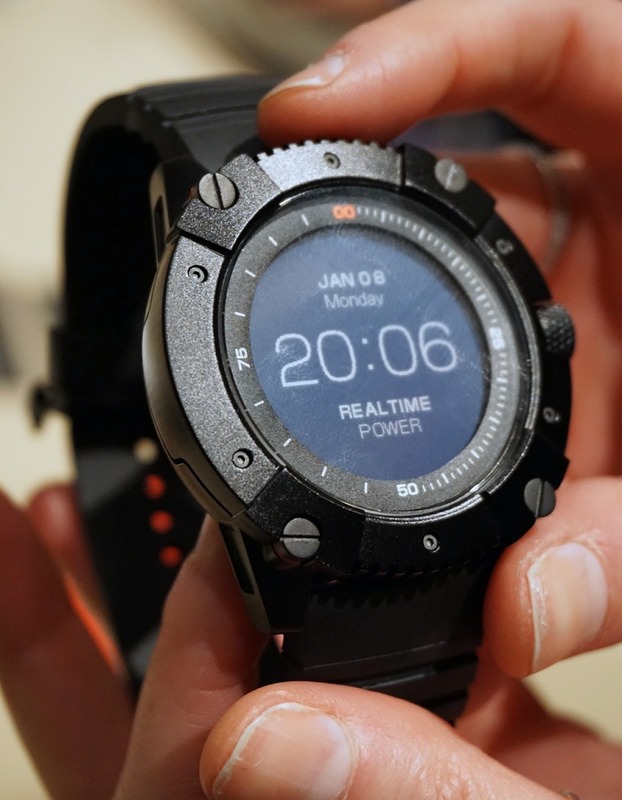 It has a 360-degree rotational HD camera with facial recognition for safety purposes, a 7-inch touchscreen, spatial surround sound with JBL speakers and voice recognition, temperature sensor, connectivity (USB, SD card and HDMI ports), live video assistant, pre-built integration with Echo, Nest, and other devices. 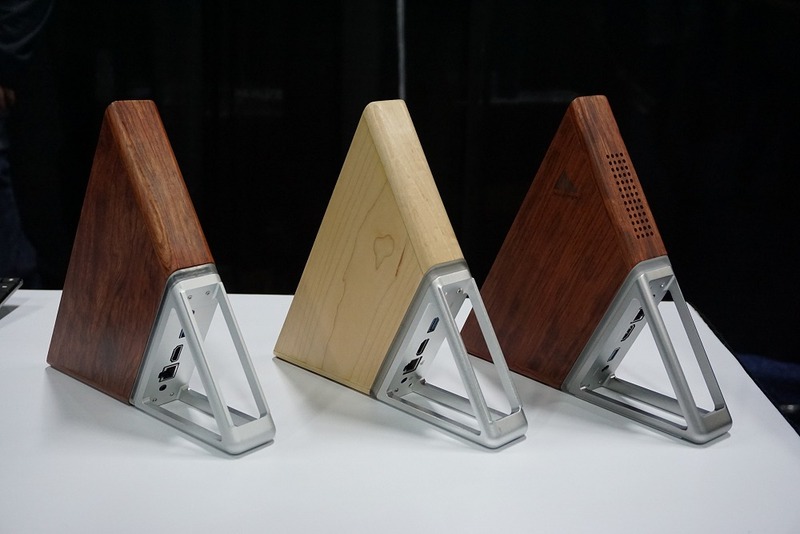 The product is on Kickstarter and it will soon be shipping to backers. Ultra short throw laser projectors (a.k.a. 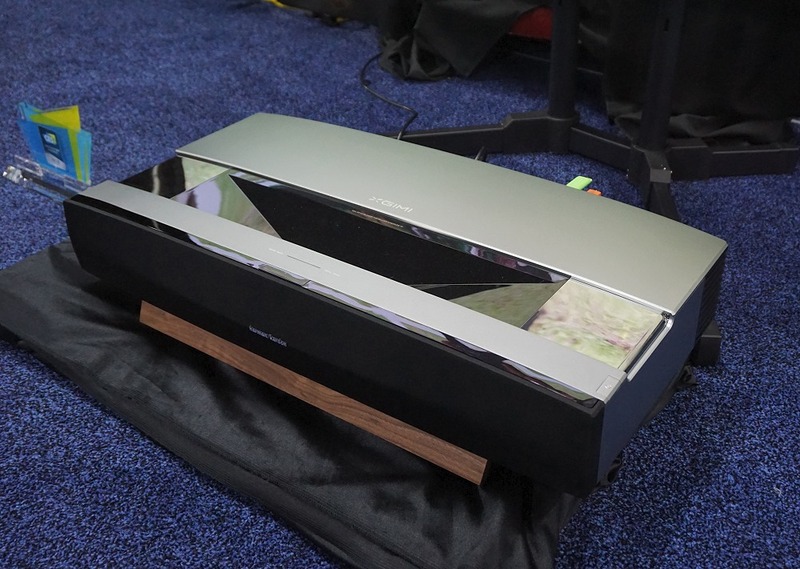 laser TVs) aren't new, but Xgimi's A1Pro integrated their FHD projector with a 80W surround-sound capable sound bar solution from Harman/Kardon. That means less clutter in your living room and that's always a good thing to get approval from your other half. 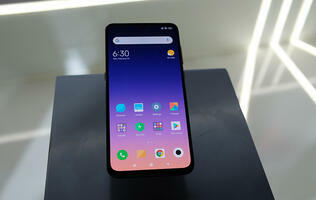 It will cost less than US$5k, inclusive of a 100-inch light resistant screen. 4K version is in the works, but it will cost a lot more. 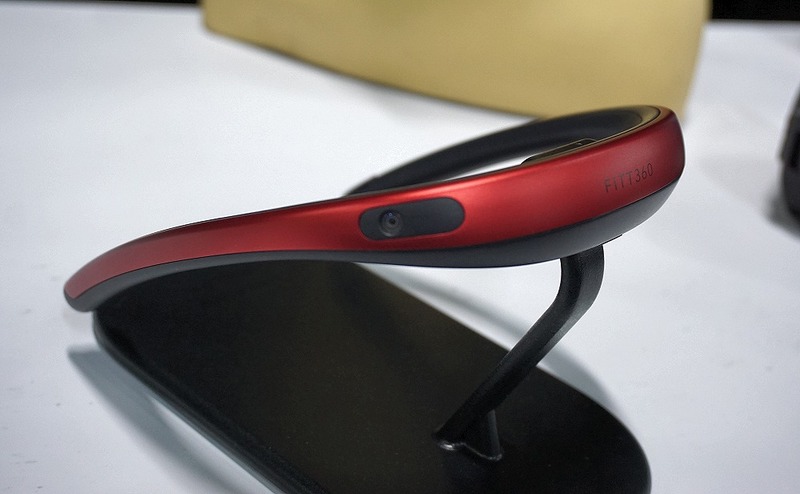 The Fitt360 is the world's first wearable 360 camera. Equipped with three cameras, two in the front and a third on the back end of the wearable, they assist to capture three FHD streams to combine into a 4K resolution image. Up to 90 minutes of recording time and the outputs are automatically stitched and sent to your phone in real time. The FITT360 is rated for IPX 6 and is built-in with GPS, so it's suitable for your outdoor activities and tracking needs. 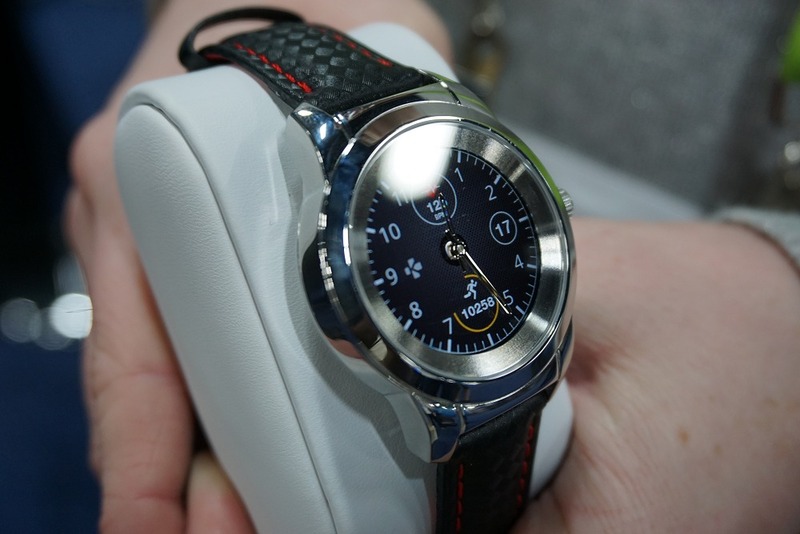 The ZeTime from MyKronoz is the world's first hybrid smartwatch with mechanical hands over a color touchscreen with all the best features of a smartwatch. At just US$199, it's within reasonable reach for most people. Watch how it works! This tiny package is the world’s first broadband emitting infrared LED which will enable IR spectroscopy for consumers on mobile devices. 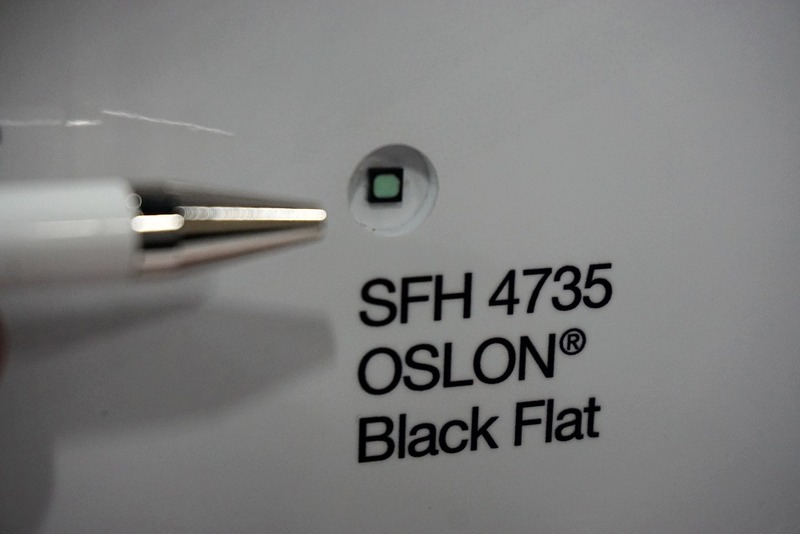 Thanks to Osram Opto Semiconductors, the SFH 4735 OSLON Black Flat’s intended use is to analyse food, identify medication and measure body fat by emitting IR light from your mobile device, and analysing the reflected visible and IR light upon the subject matter. One such scenario is when you want to check on your prescriptions and ensure you didn’t get it mixed up. IR spectroscopy analysis against a known database can quickly fetch the info you seek. 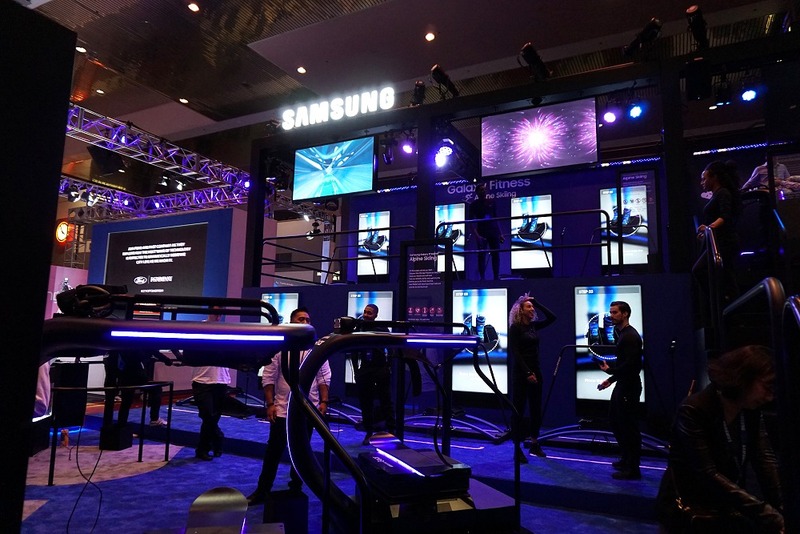 This is perhaps the largest ever Samsung Gear experience arena ever. 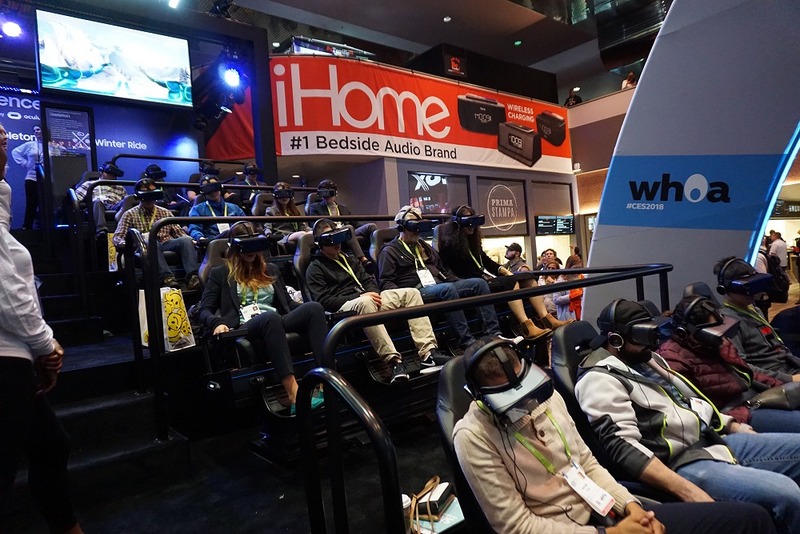 Note that his is just half of the arena focussed on the Gear VR experience. The other half of the arena focussed on their Gear Fit devices, so there were more workout oriented stations to garner points. 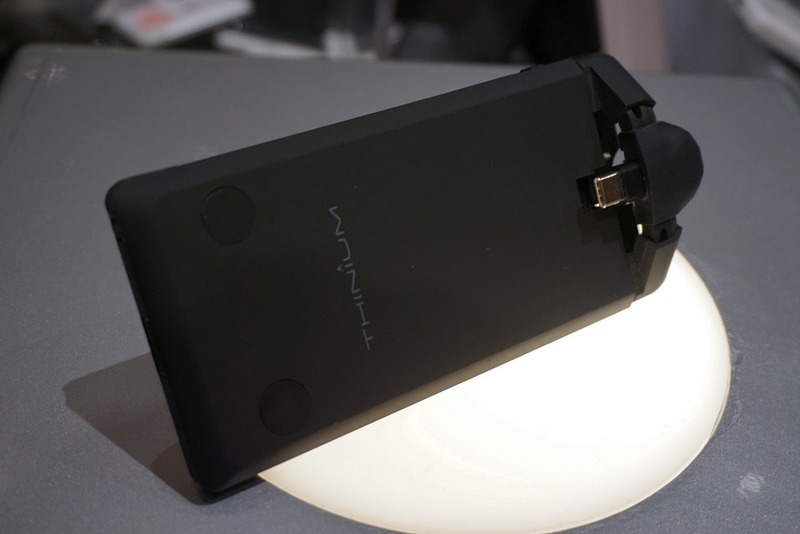 The Thinium is quite a versatile power bank. What’s unique is its securing mechanism that latches on to the phone quite securely with a chosen power connector. This means the power banks is less likely to slide/dangle around and it eliminates carrying charging cables. At its rear, it has collapsible power pins to directly re-charge itself from a power outlet, and it has a kickstand integrated so that you can charge your device and view a movie on it effortlessly. Why didn’t someone think of this earlier? Beyerdynamic Xelento is a wireless headphone pair that costs over US$1.2k! 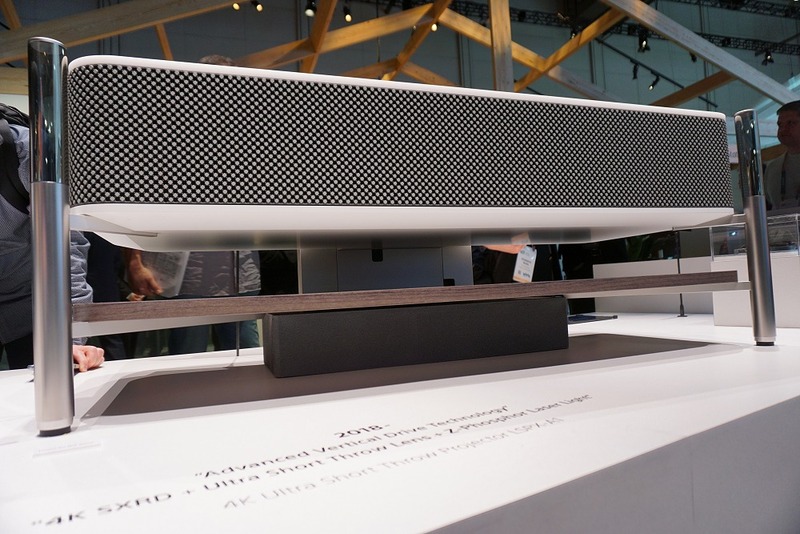 Apparently, the marketing materials claim it uses a dynamic Tesla transducer for great audio reproduction, complete with aptX HD, aptX, AAC and SBC codec support. 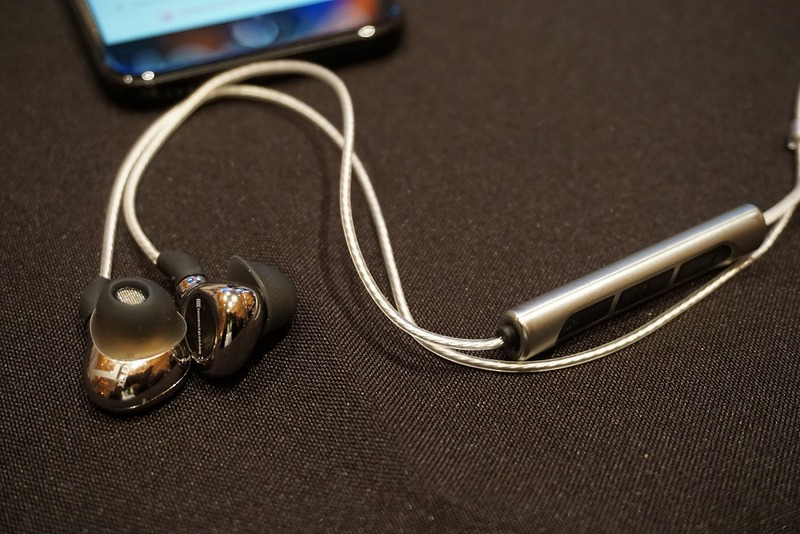 Combined with premium materials, long battery life and an attractive design to boot, we can see why this wireless headphones pair is priced at a premium. 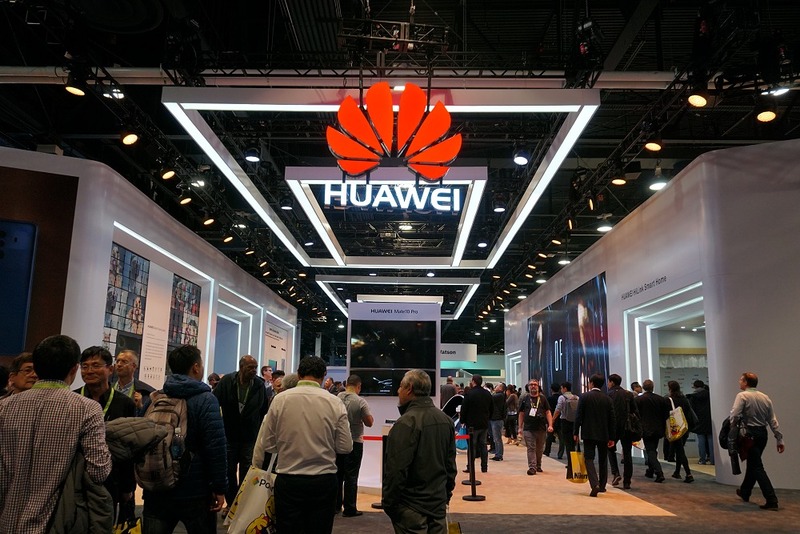 Over at Huawei's booth, the company was busy showcasing their flagship Mate 10 Pro smartphone, and another recent entrant, the Honor 7x. 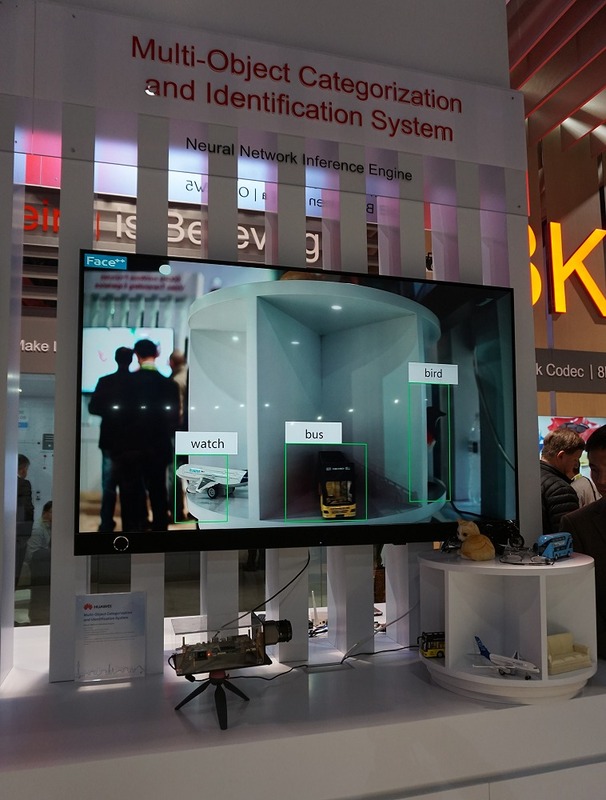 Among the many other facets that the company is involved in, Huawei is particularly proud to showcase their neural network inference engine at work as this object identification and categorization demo shows. 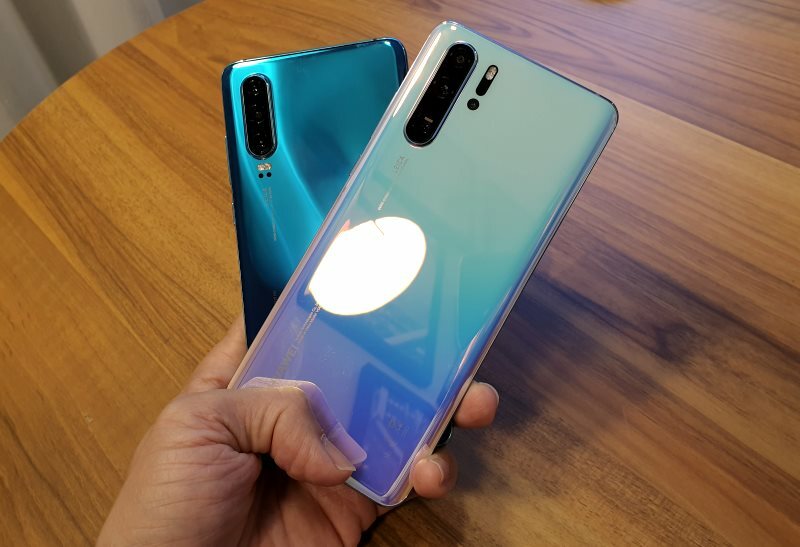 A version of this is exists in Huawei's Kirin 970 processor used in the Mate 10 Pro to apply the right filters for the best photography effect based on object identification. This is Sony's latest 4K ultra short throw projector that was just unveiled at CES 2018. Building upon their existing Life Space UX design based 4K UST projector, this year's model incorporates new design changes to house an audio system within the cabinet and redefining it to look more like a traditional TV console. Note that the glass stands on the side are the tweeter units for this impressive looking system. 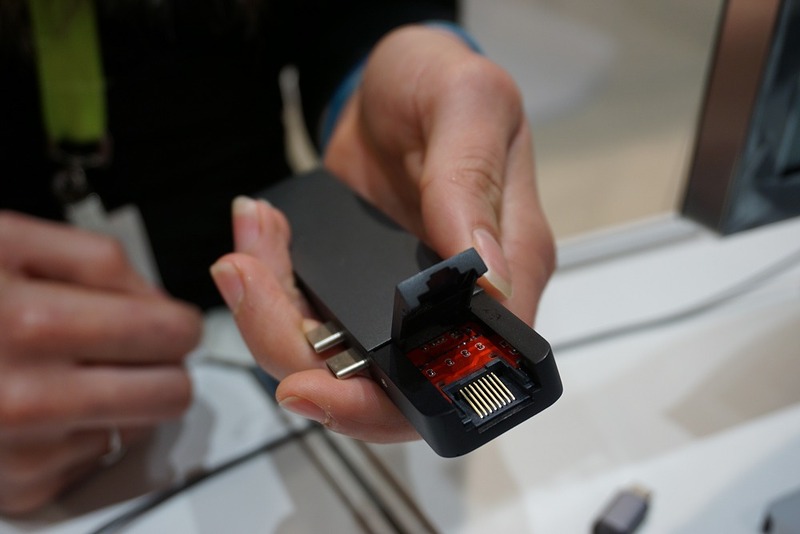 HyperDrive has been a popular accessory maker ever since the MacBook Pro ditched all other ports for USB Type-C. You got to get in with the dongle life if you want to get any meaningful work done.The latest in their line-up is the Net 6-in-2 dongle that trades a SD/microSD card reader for a Gigabit Ethernet port. US$109. There’s also the Pro 8-in-2 that lets you keep the card reader and adds in a Mini DisplayPort for US$119. Would you have ever guessed that this is a mini mining machine? Boasting high quality craftsmanship utilizing CNC finishing, premium wood and aircraft grade aluminium case, this is the Acute Angle PC, which is part of a globally distributed computing cloud platform from Triangle Technology (HK). 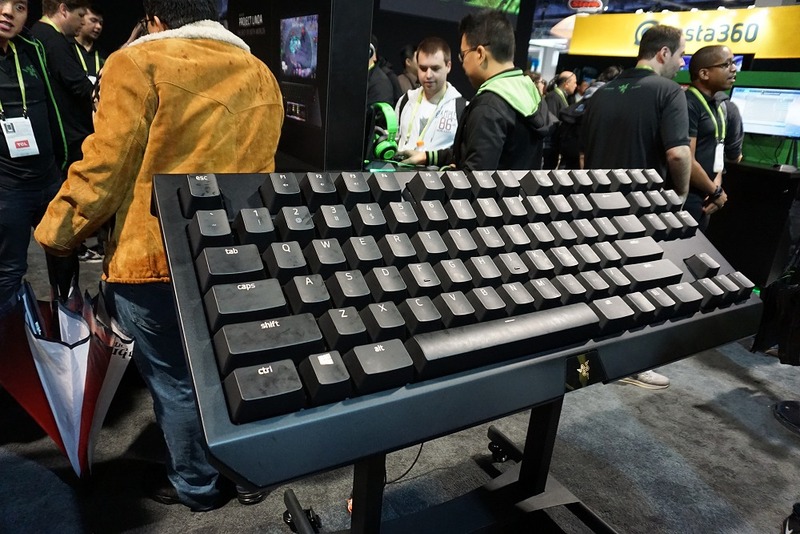 This giant mechanical Razer keyboard replica works just like the real deal, complete with the clicky sound and feel! We wonder if anyone attempted to hijack this. 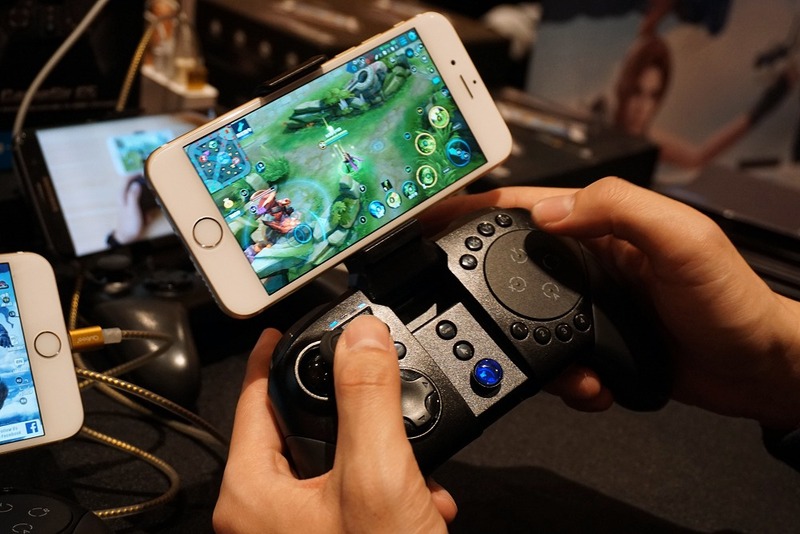 The GameSir G5 is a next-generation gaming controller, expressly designed for MOBA and FPS mobile gamers. It has MOBA-simulated buttons layout, as well as a touchpad. Launching soon.